Original Gelatin Silver Print, selenium toned, 1969. Paper Size: 14" x 11." Made from the hand of master photographer Jack Mitchell, and signed in pencil on the verso. Excellent Condition; never framed or matted. Provenance: This photograph was acquired directly from the photographer's estate. Certificate of Authenticity included. Suggested Retail Gallery Price: $7,500. JACK MITCHELL (1927-2013) Jack Mitchell was one of the most accomplished photographers of the 20th century. Widely recognized for his photographs of American artists, dancers, film & theatre performers, musicians & writers, he also relished a climatic career experience with the New York Times, where he is best known for his special assignment photographs for the Arts & Leisure section between 1970-1995. During that time, he captured many of the most iconic images of the leading celebrities and preeminent creative figures of the second half of the 20th century. Mitchell was also one of the leading photographers of Dance, having been the official photographer of the American Ballet Theatre and having been the predominant dance photographer for the New York Times and Dance Magazine. Throughout the late 1960s and the 1970s, Mitchell more closely documented Andy Warhol, his Factory and Warhol’s Superstars than any other mainstream photographer. The many images captured during this period represent some of the best known photographs of Warhol. Today, many of his iconic photographs are used in the leading magazines and publications world-wide. 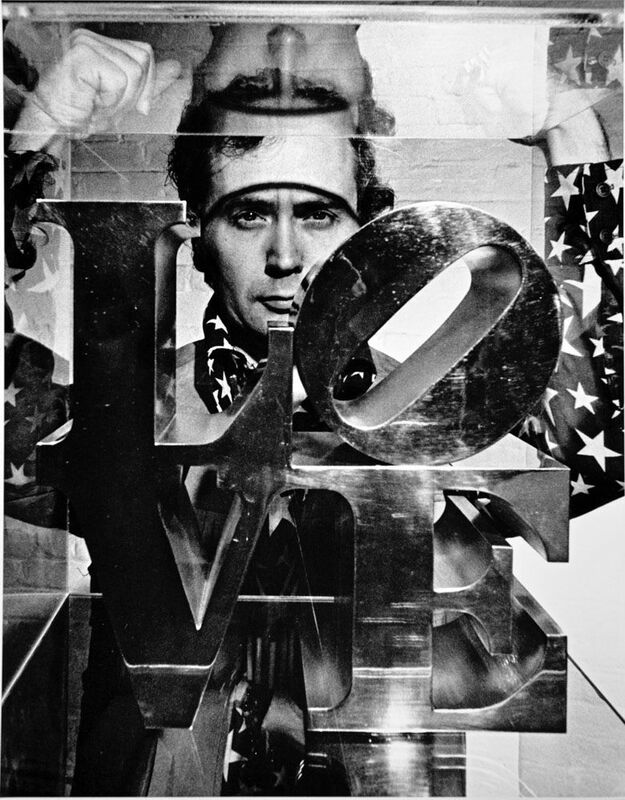 Click the button below to add the Robert Indiana, Vintage 1969 Gelatin Silver Photograph, Jack Mitchell to your wish list.